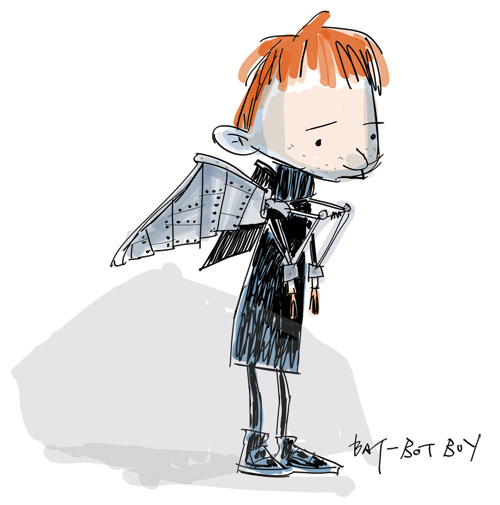 Here are a few sample lines from a work in progress story called “Bat Bot Boy”. Also included is a couple of concept designs by the incredibly talented art director Deane Taylor. be normal at the age of ten. with games and toys and blissful play. For I can’t do the simplest things. What am I now, I’m half a boy. I’m no ones son, some life size toy. Have I become a kid gone wild. That’s just a small taste for now. 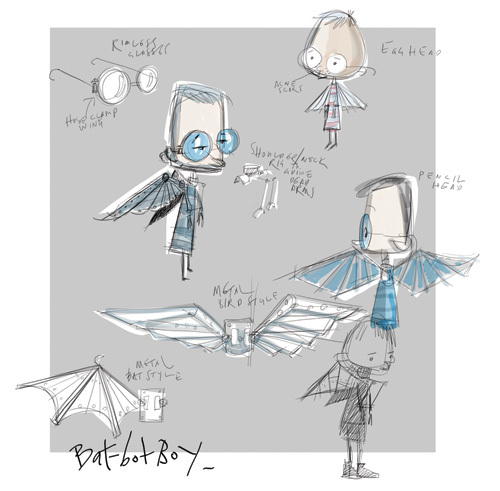 Here are the concept images of the Bat Bot Boy character. Steve – awesome style – love it!